THAT'S CONVENIENT FOR YOU, ISN'T IT? Keigo is a person of little consequence; he is nonviolent, noncombative and kind to those who deserve it. He is painfully average in most ways, hiding the talents he does possess behind a mask of gleeful indifference. However, the mask falls when put into situations of high risk, pushing Keigo into the role of a protector, a vigilant aggressor. Nothing spikes this anger more than the disrespect of his closest friends; Keigo will forgo his own safety in favor of rallying for his friends, regardless of the danger he might be placing himself in. ABILITIES: Keigo is spiritually aware. 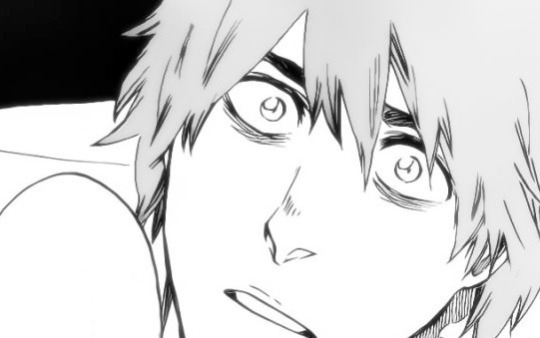 In the context of BLEACH, this means that Keigo is able to perceive beings that exist beyond the plane of reality that the living experience. Anything that exhibits or is made of supernatural essence (reishi, 霊子, literally "spirit particles") will trigger this passive ability. In the event of supernatural abilities, the energy given off by them (reiatsu, 霊圧, literally "spiritual pressure") will also trigger Keigo's sixth sense. Keigo has a very high level of tolerance for particularly intense or massive amounts of spiritual pressure; at most, he may experience a mild headache. Excessive exposure causes some slight fatigue in Keigo, but he generally remains alert and lucid. Keigo is able to manipulate this ability (albeit subconsciously) so that he is able to initiate physical contact with spirits and other supernatural beings that most would not be able to touch.